A few weeks ago I was introduced to a company called Pura Vida, a company that specializes in homemade Costa Ricans bracelets. Not only were the bracelets breathtaking but the story behind how their company was started was even better. Five years ago, two friends by the name of Griffin Thall and Paul Good embarked on a college graduation trip to Costa Rica that would forever change their life. During their trip, they met Jorge and Joaquin who sold bracelets to make ends meet while living in poverty with their family in one single room. Griffin and Paul asked them if they could fulfill an order of 400 bracelets to take home with them. Upon their return, the bracelets quickly sold out and from then on a long lasting partnership had formed. 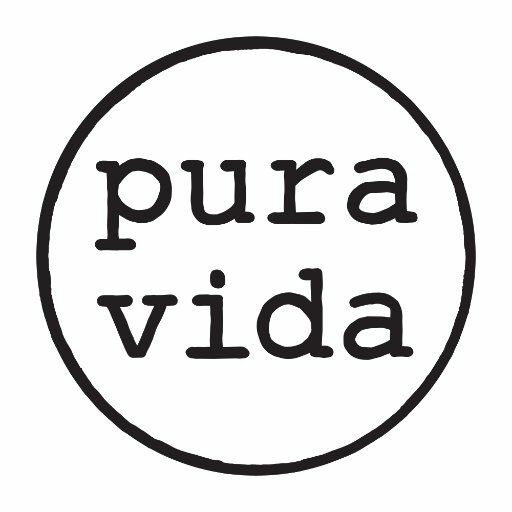 Pura Vida is Spanish for “pure life”, which is a Costa Rican saying that encourages the appreciation of life’s simple treasures. Their brand truly exemplifies this expression with the charity work that their business provides. They have partnered with over 190 charities and have donated more than $935,358 to date. 1% of their annual net revenue is donated to environmental organizations worldwide. Not only are you purchasing stylish bracelets but you are also helping donate money to charities all over the world. Now on to my experience when receiving my first shipment of bracelets from the company. I received my shipment quickly and loved the packaging the bracelets came in. It was a pretty turquoise bag with their signature pineapple. Forgive my picture since the delivery driver was not too kind to my package. I opened the bag and was pleasantly happy with the bracelets that were chosen for me. I immediately wore them out to work and on the weekends and received numerous compliments. If you are wondering about the pricing for Pura Vida bracelets have no fear since they are very reasonably priced. Prices range from $5 to $75 which range from single bracelet to multipack pricing. If you want the most bang for your buck I would suggest joining the Pura Vida monthly club. For only $14.95 a month you will receive 3 handpicked bracelets from either new collections or product styles. Have you heard of Pura Vida? Comment about your experience below. For more information about Pura Vida or to start shopping for your new bracelet please click here.